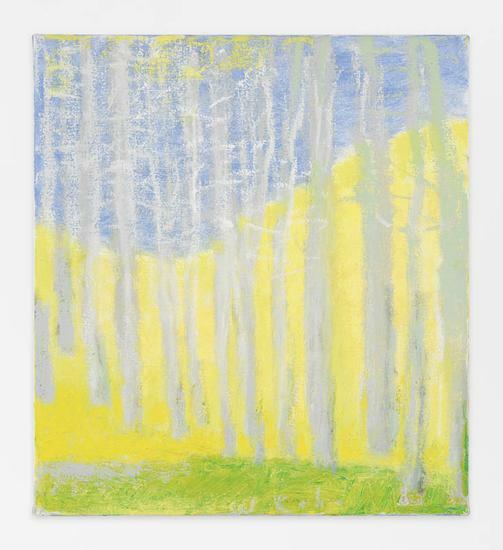 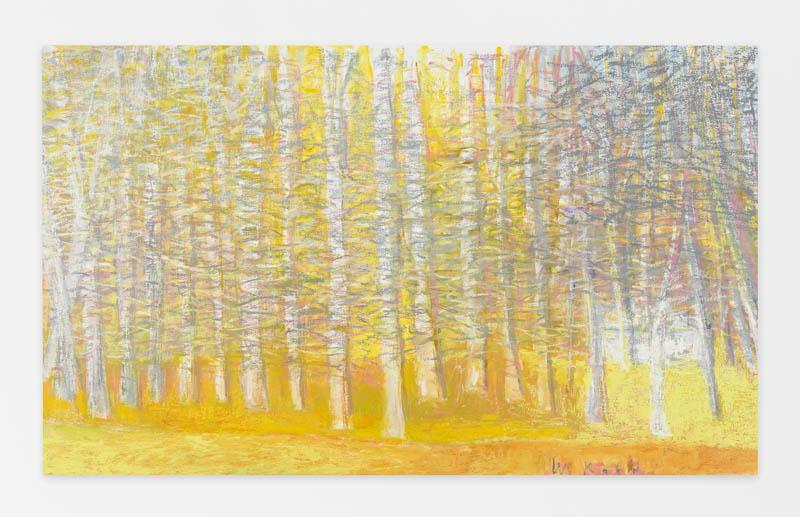 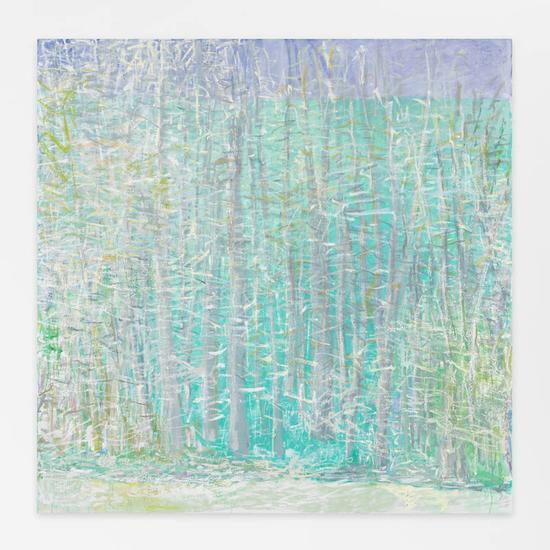 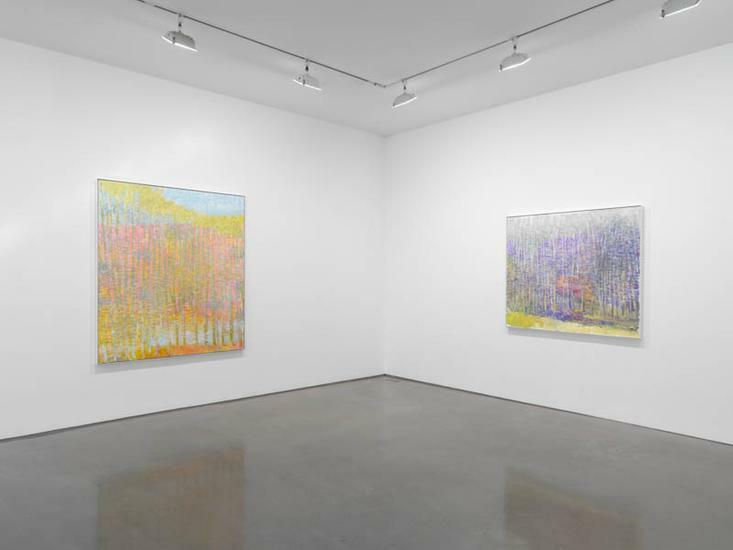 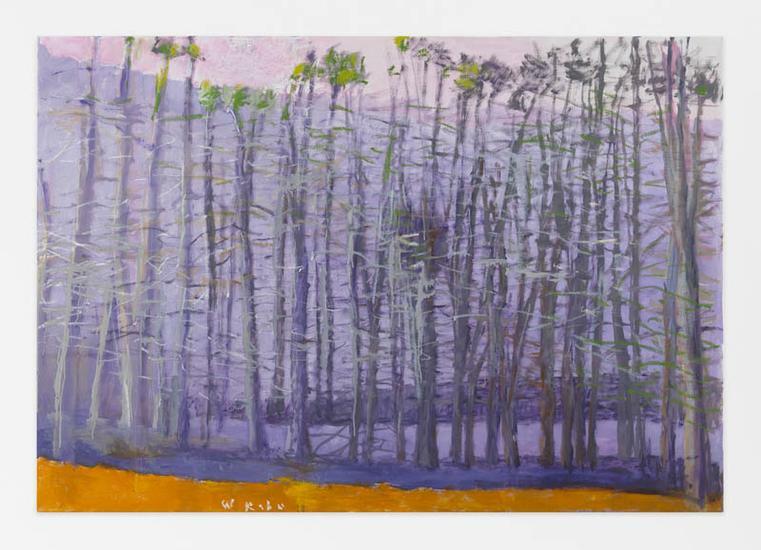 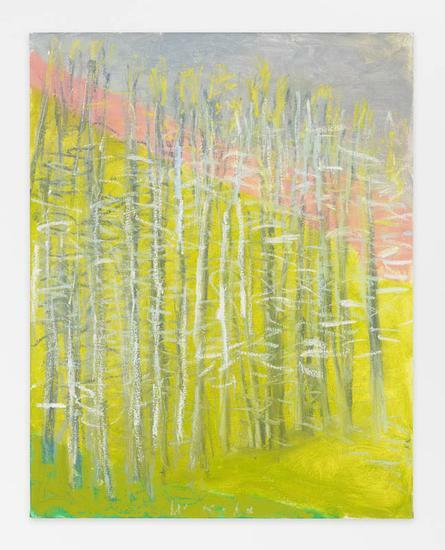 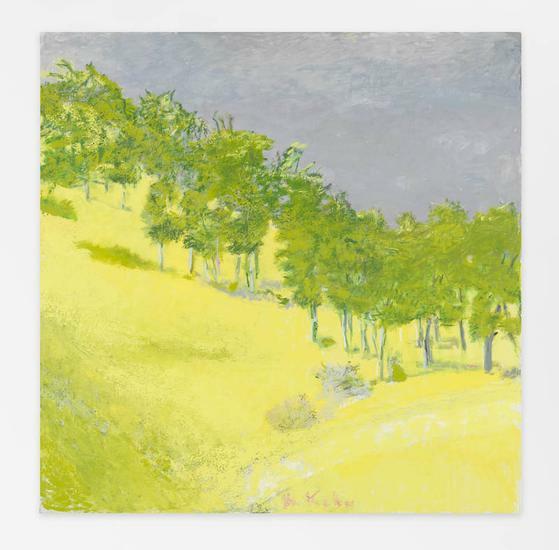 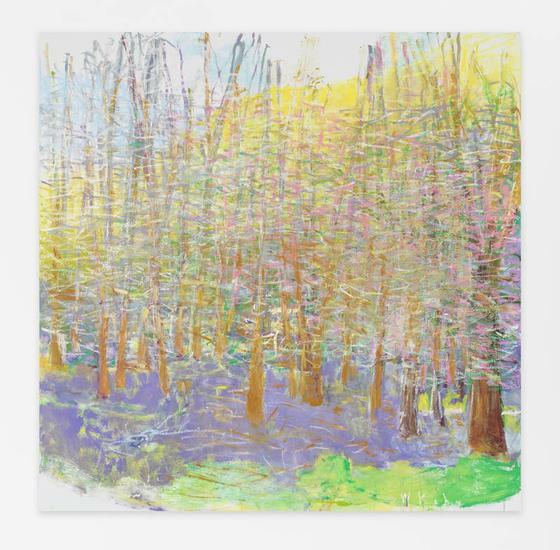 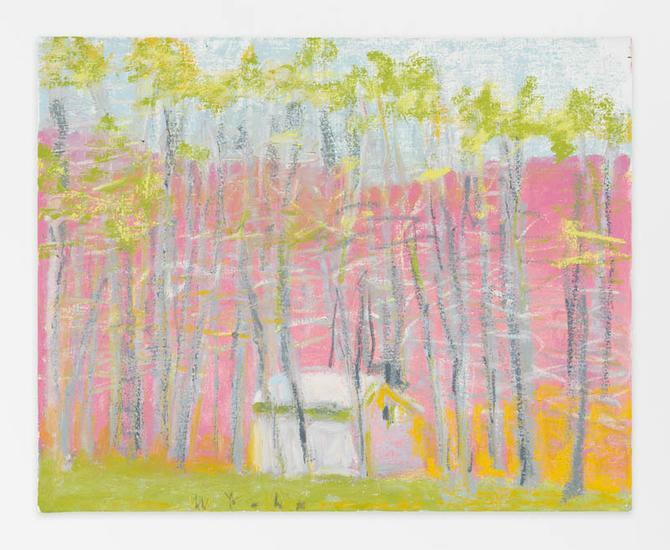 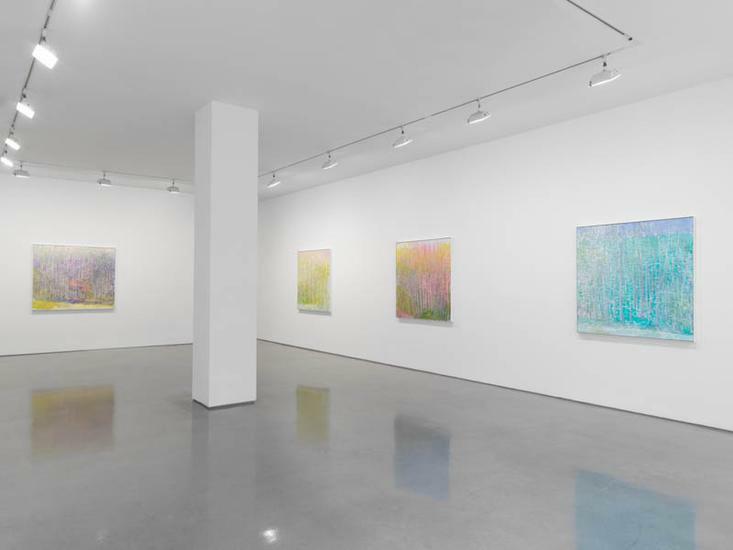 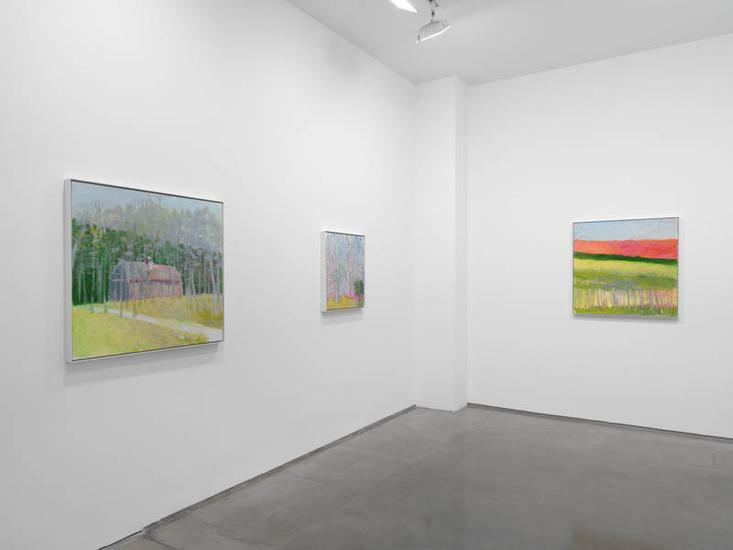 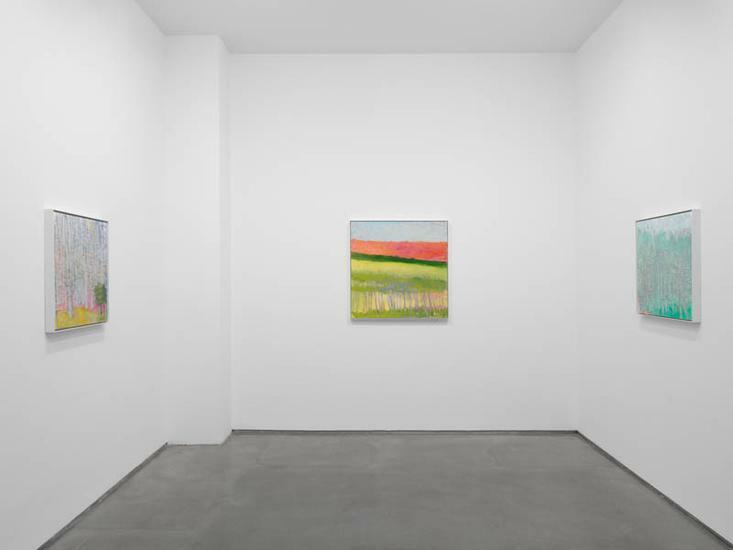 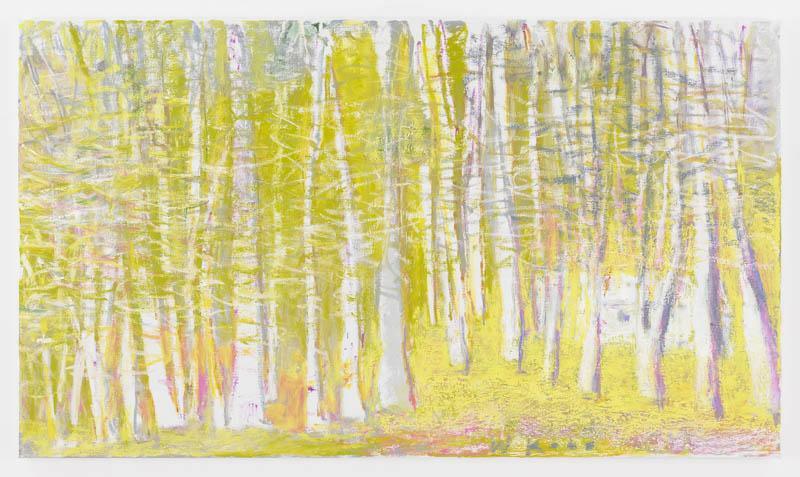 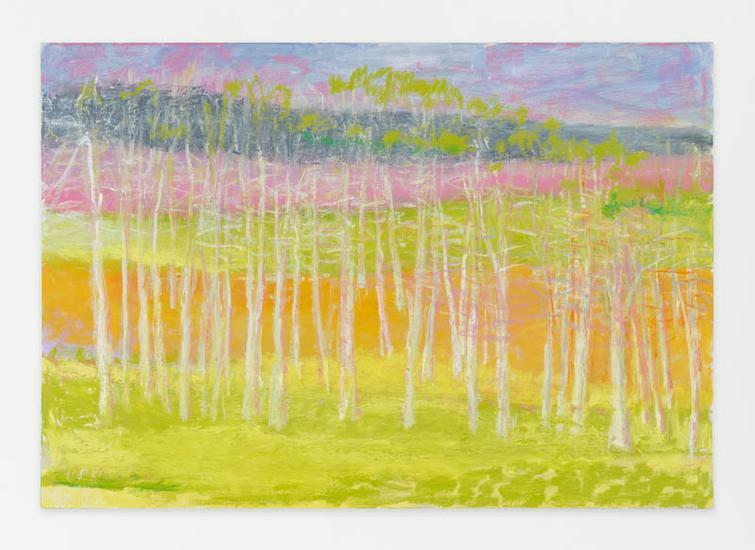 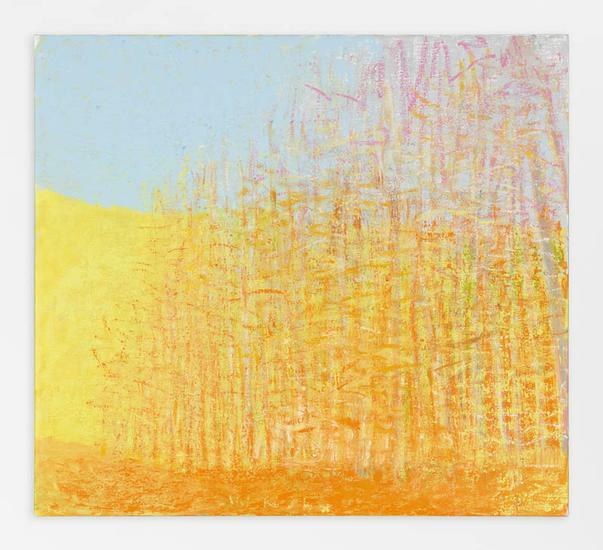 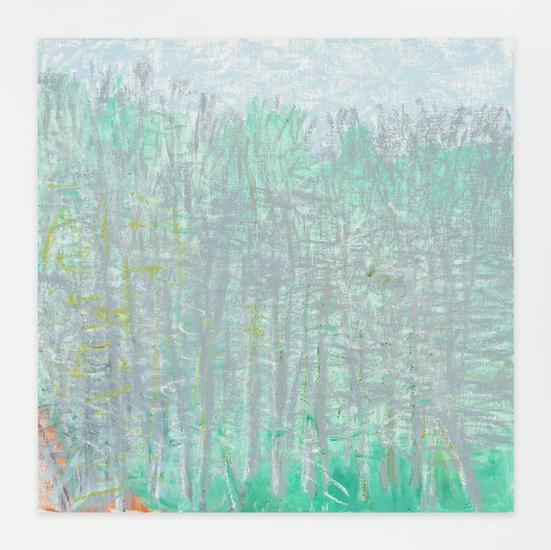 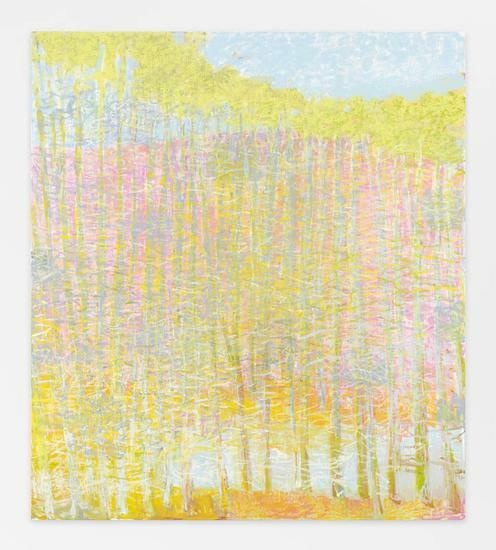 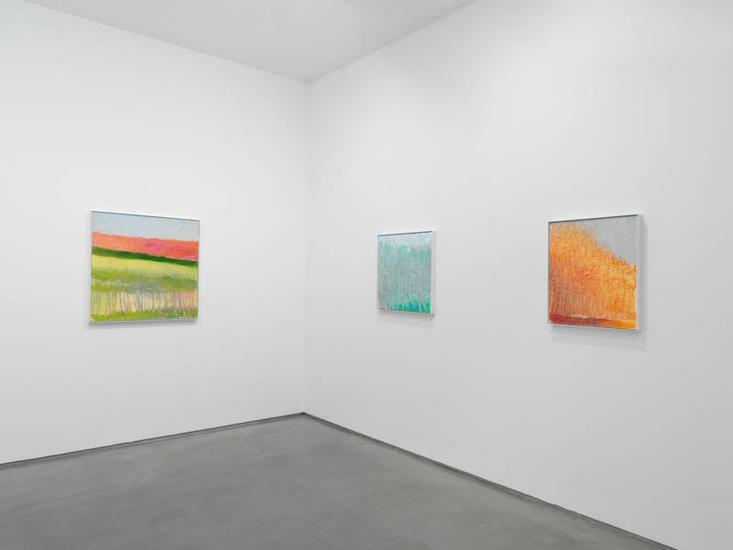 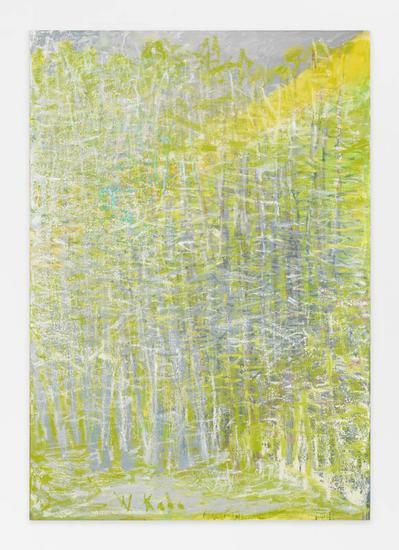 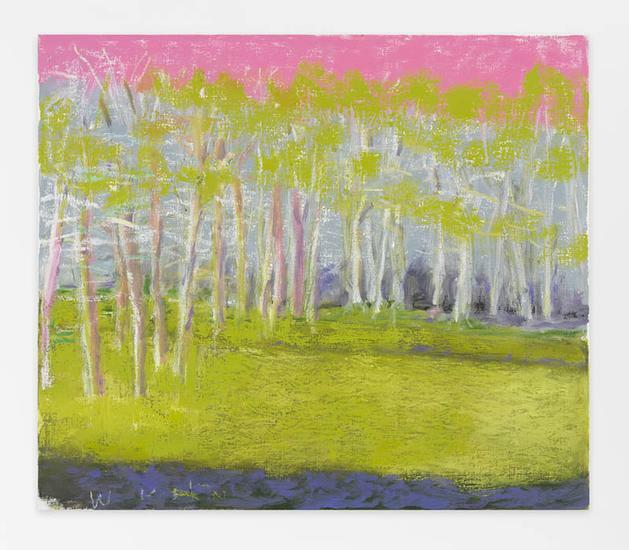 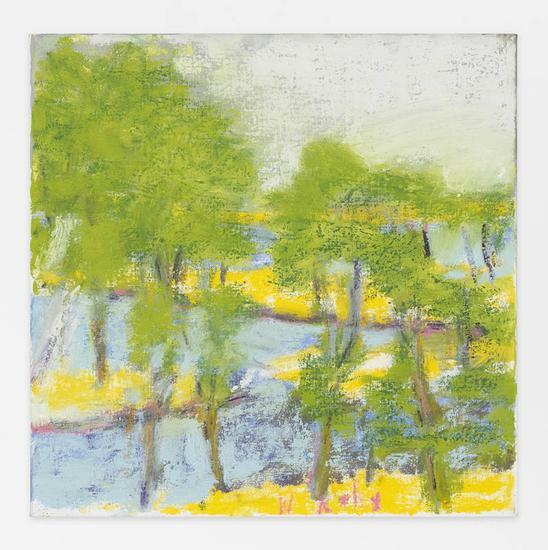 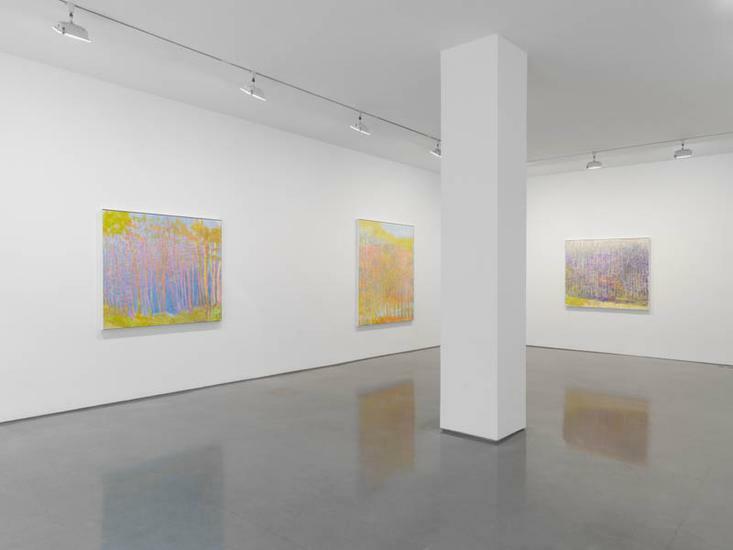 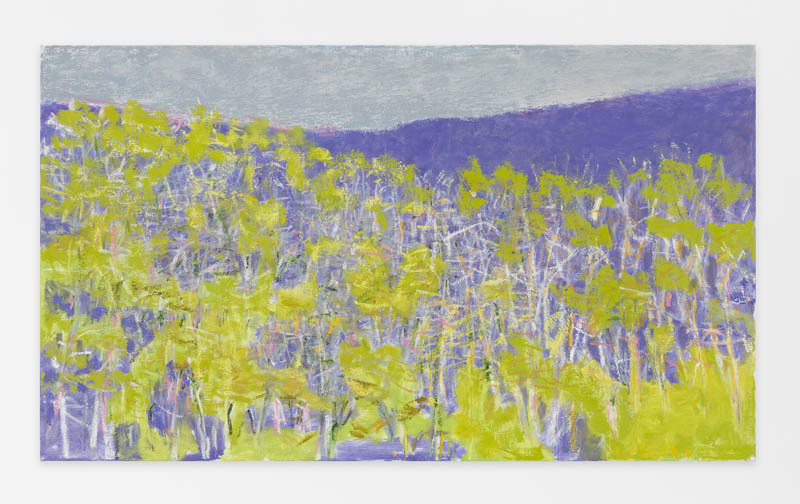 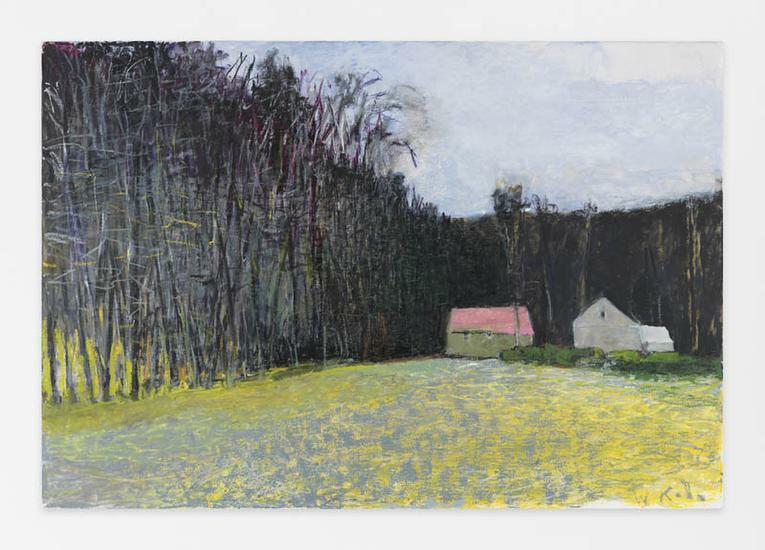 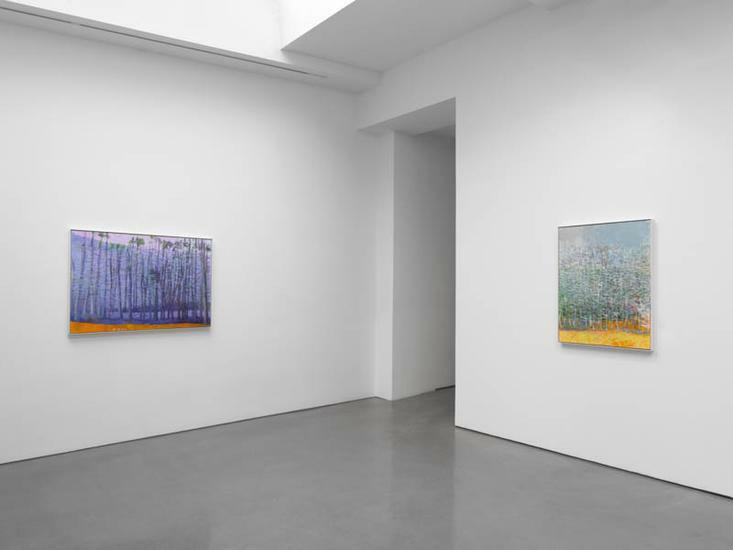 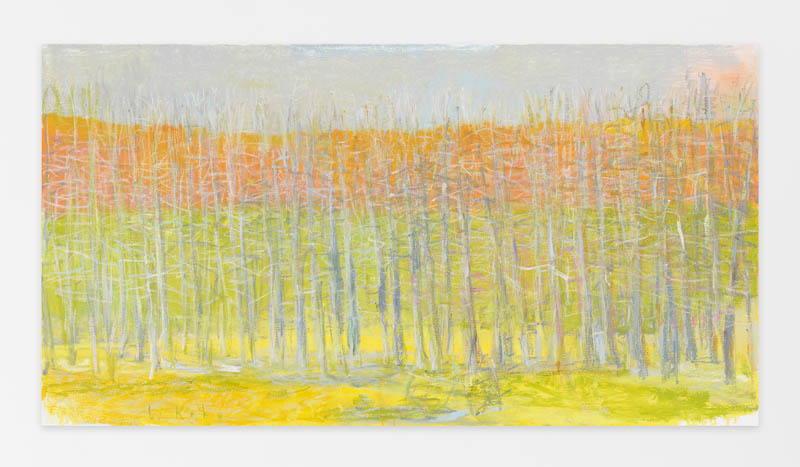 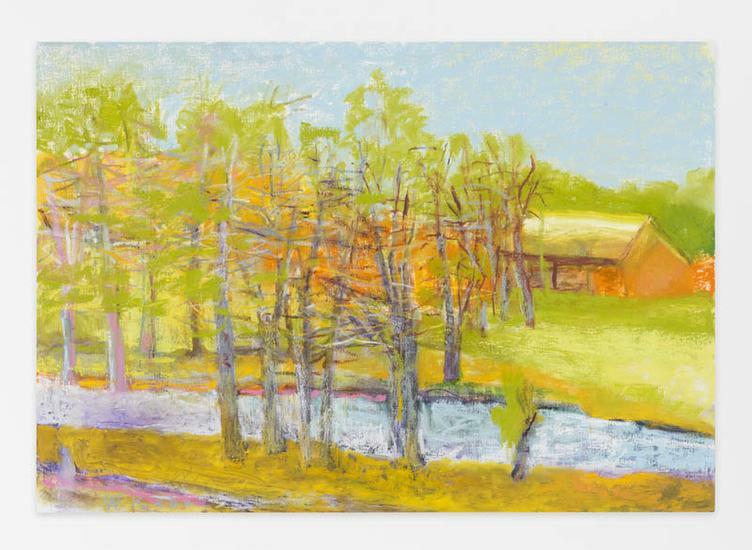 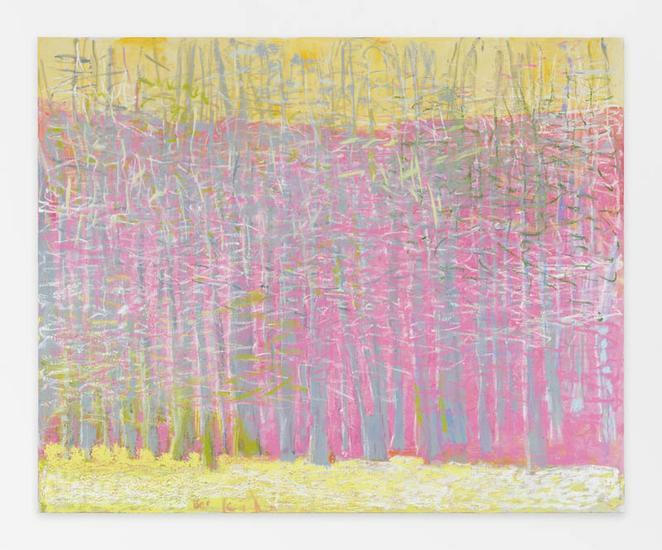 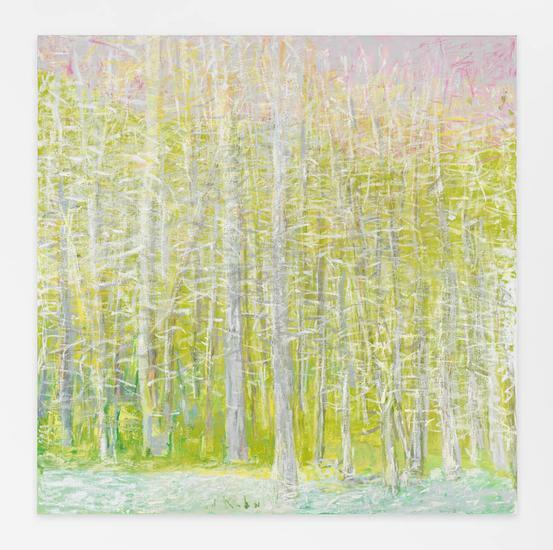 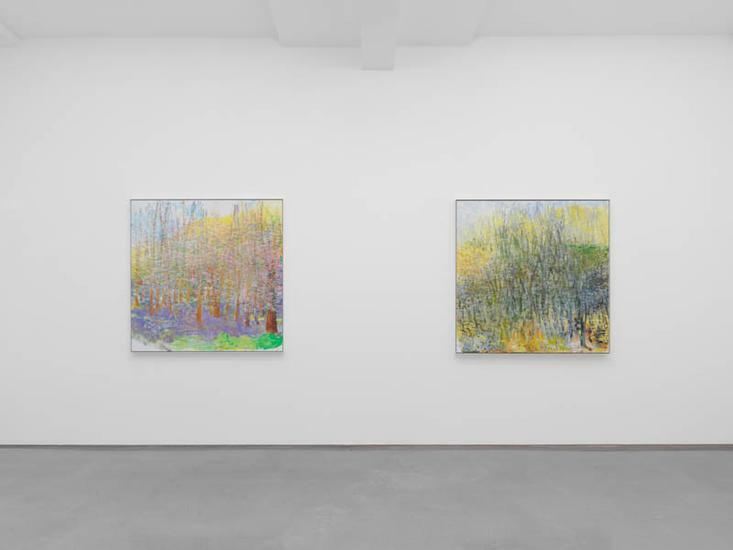 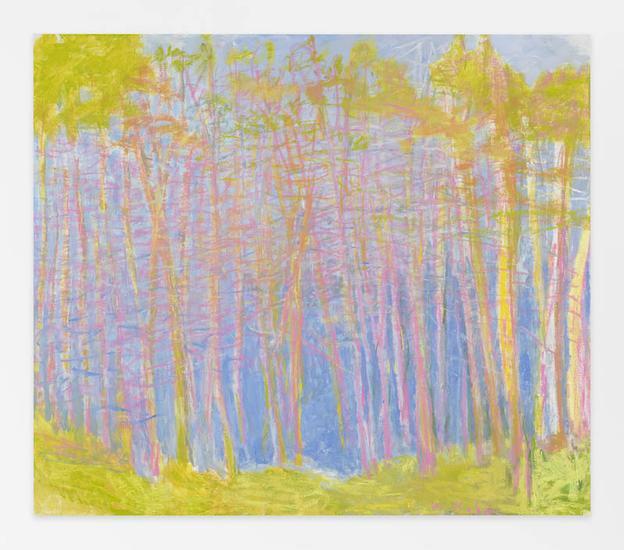 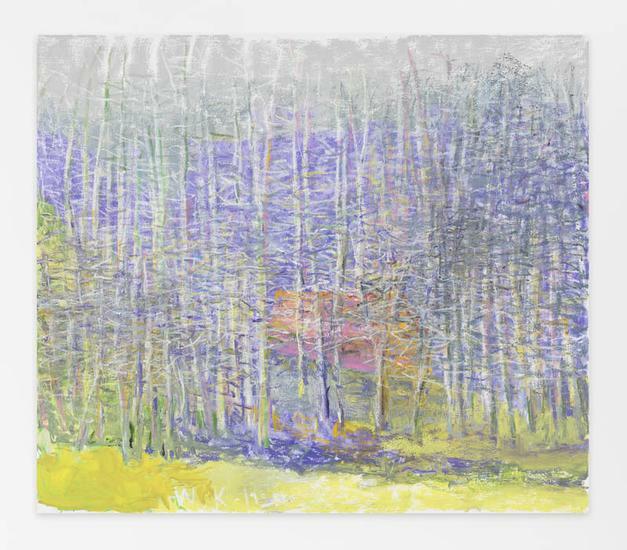 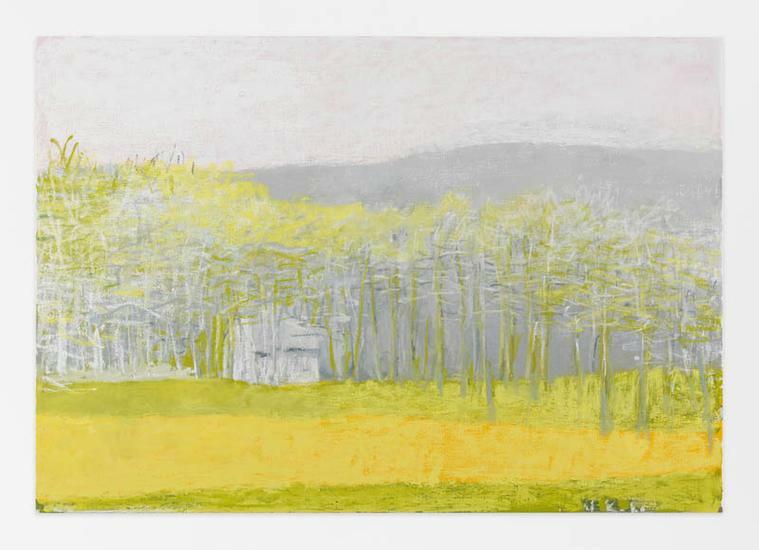 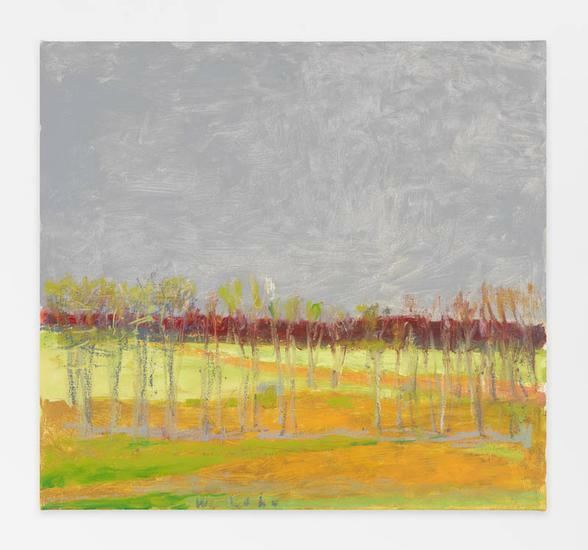 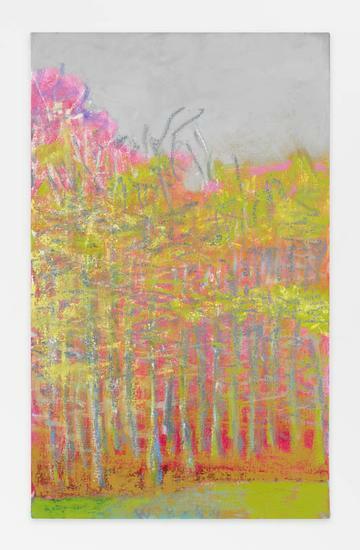 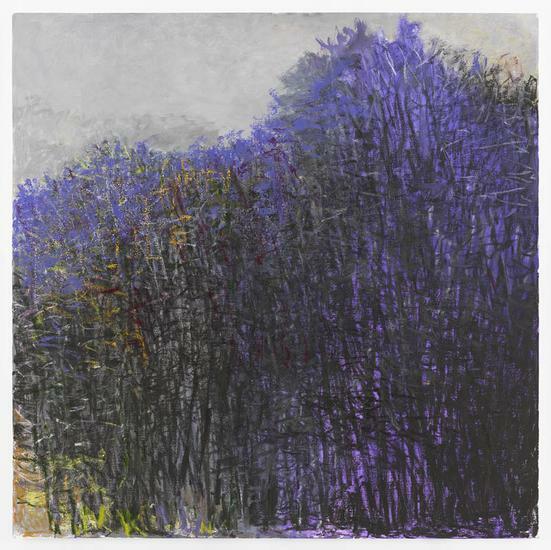 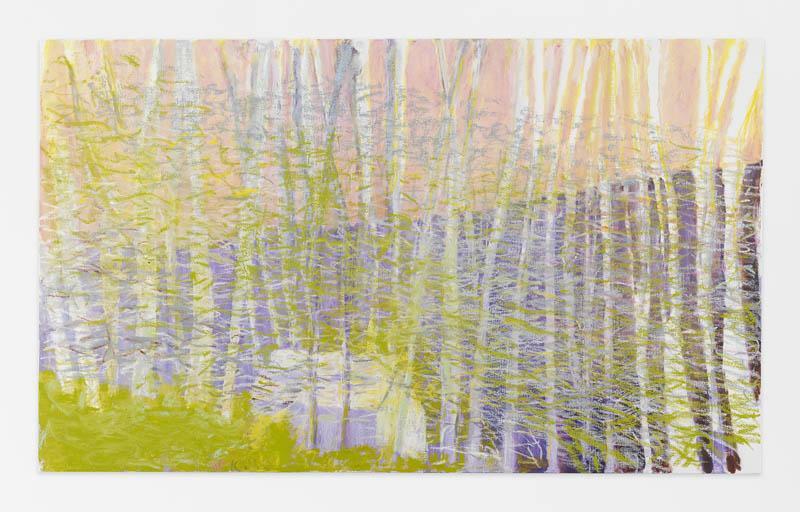 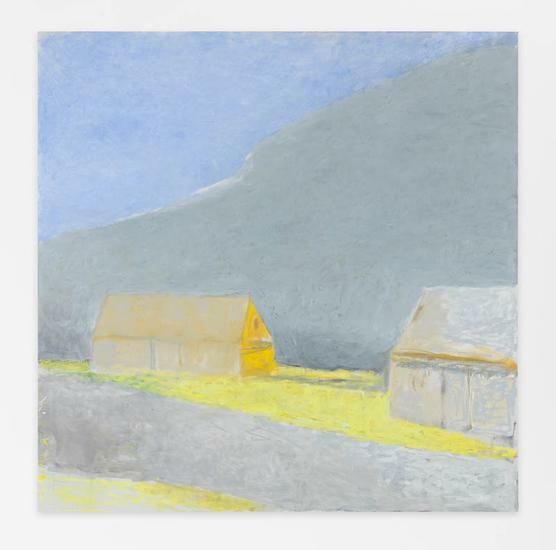 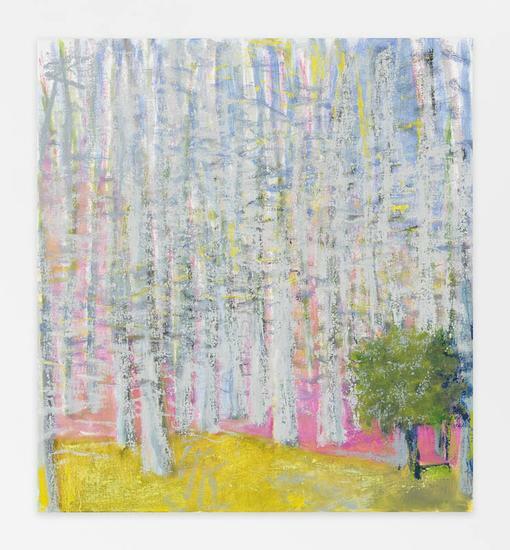 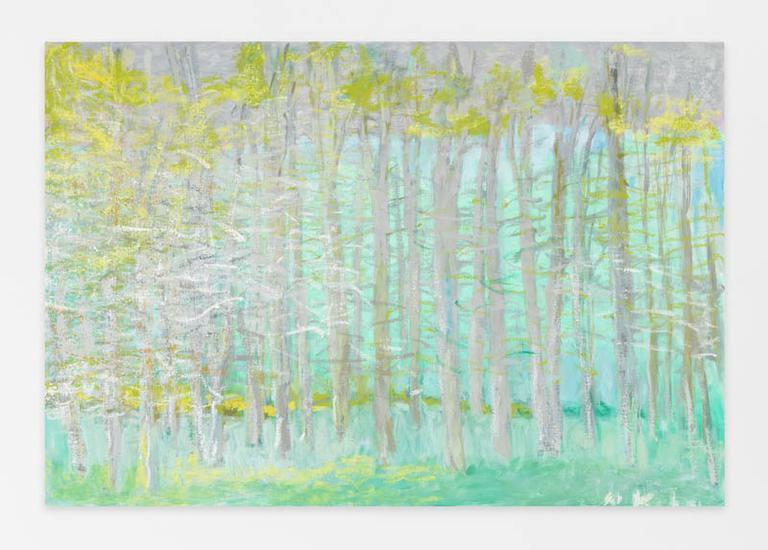 NEW YORK, NEW YORK – AMERINGER | McENERY | YOHE is pleased to announce an exhibition of recent paintings by Wolf Kahn. 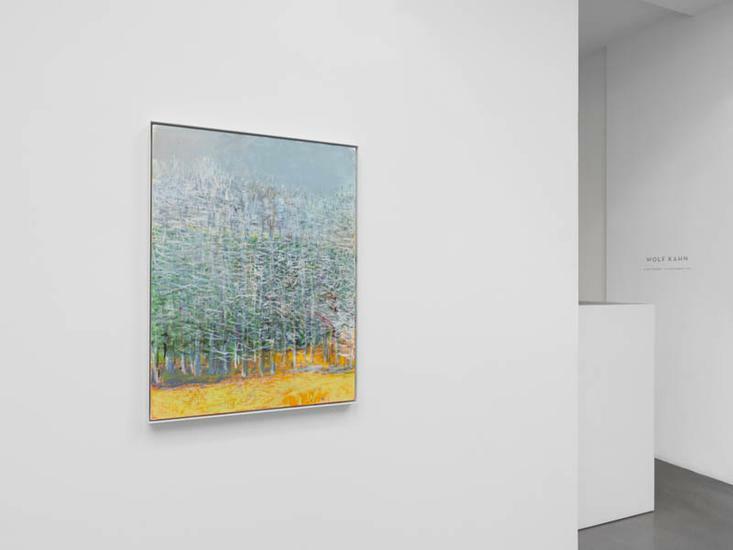 The exhibition will open on 19 November 2015 and remain on view through 23 December 2015. 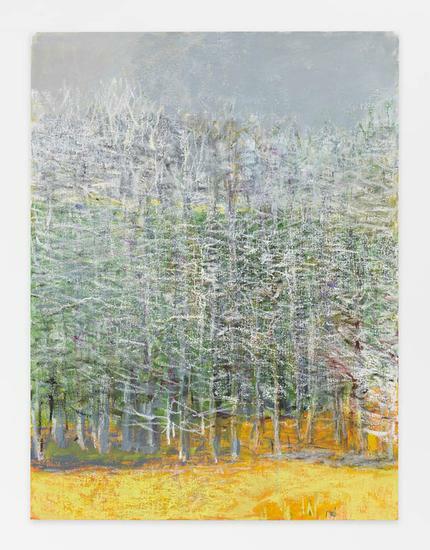 A public reception for the artist will be held on 19 November from 6:00 to 8:00 p.m. 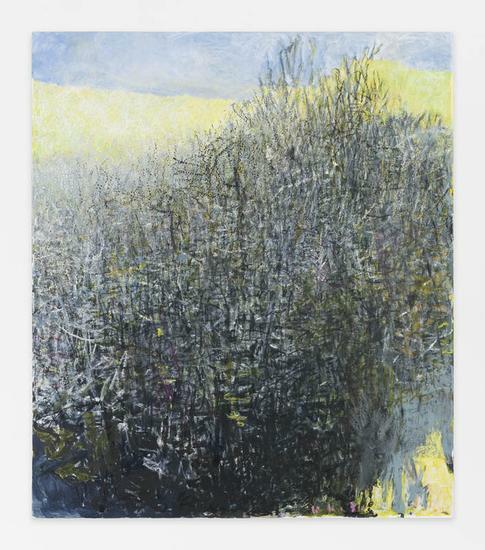 The exhibition is accompanied by a fully illustrated publication with an essay by William C. Agee. 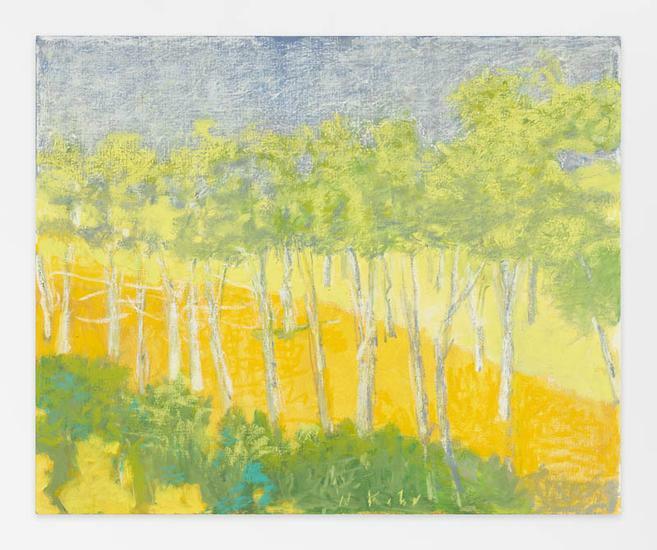 At eighty-eight years old, Wolf Kahn shares his time between his New York and Vermont studios. 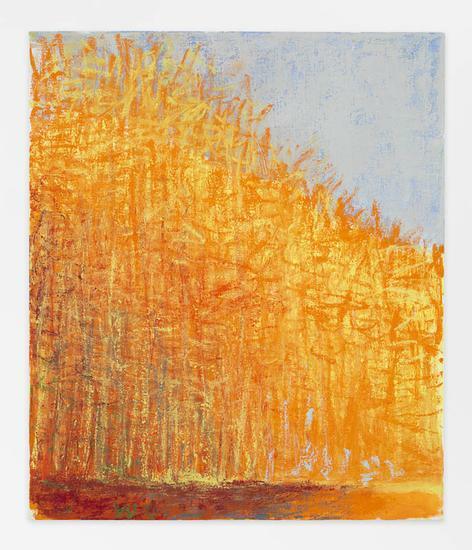 Painting daily, his greatest tools continue to be memory, imagination, and color. 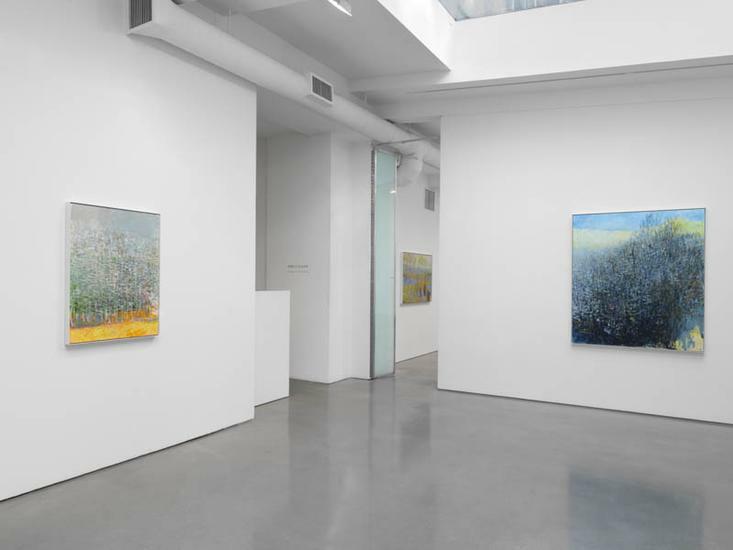 Confident and fantastic, every work is a celebration of art and life. 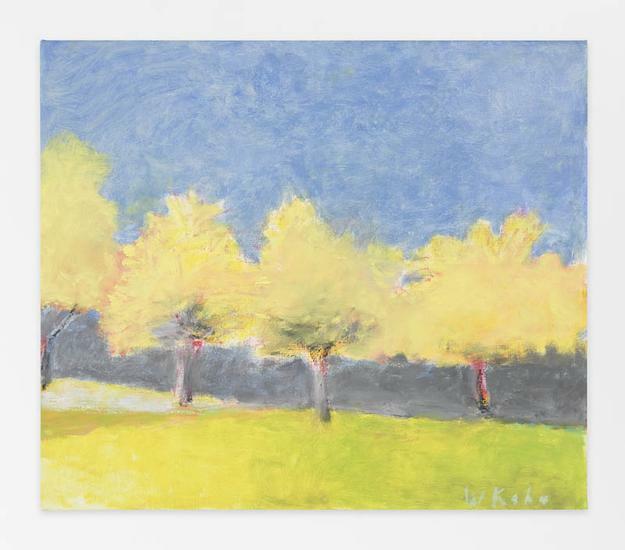 In recent years, Kahn says that he has focused on making paintings less precise, which allows him to be more inventive. 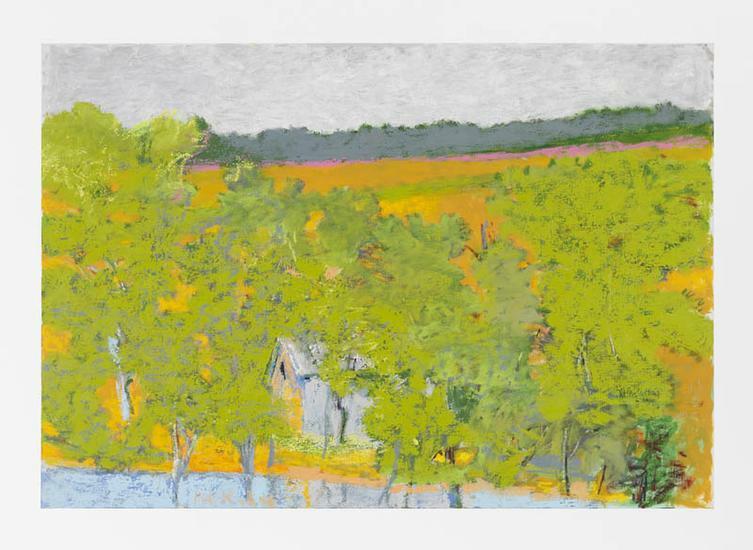 His striking depictions of barns, rivers, meadows, and woods appear representational yet abstract and his signature palette still prevails – alizarin crimson, thalo green, and dioxazine purple. 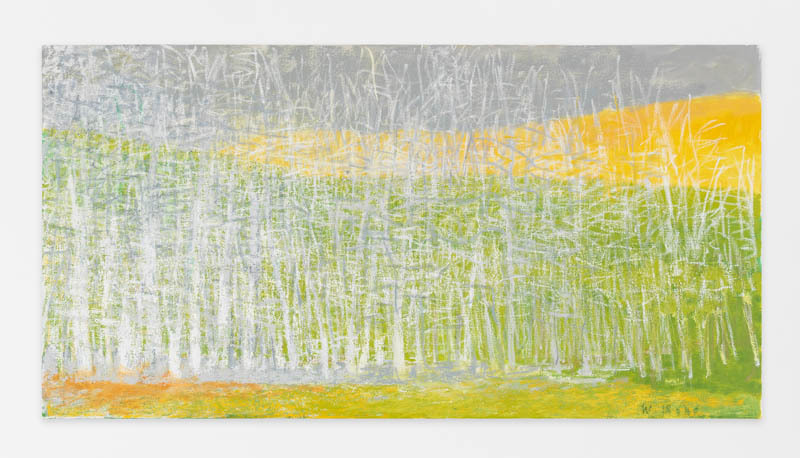 Though, black, white, and yellow have found a bigger presence as Kahn uses these colors to explore density and texture in each work. 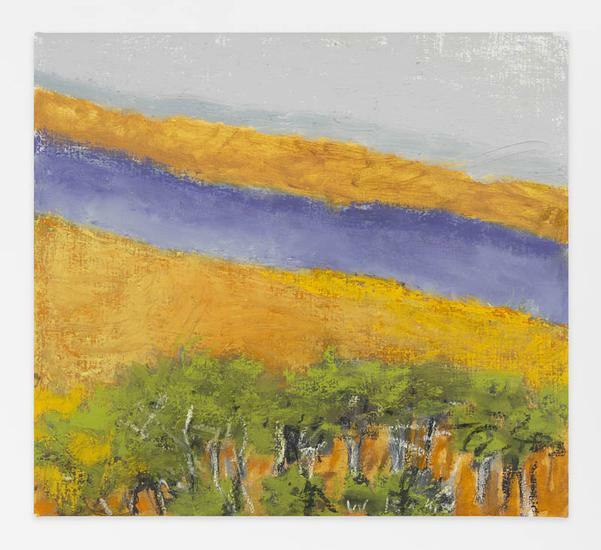 Color, containing its own emotive language, is a tool he uses to achieve a poetic harmony within each canvas. 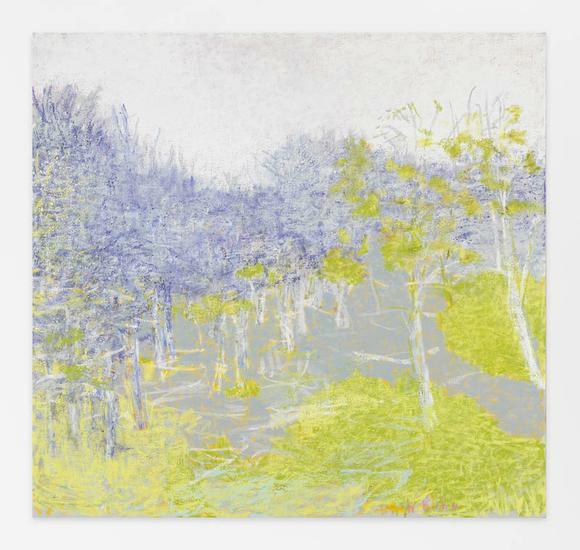 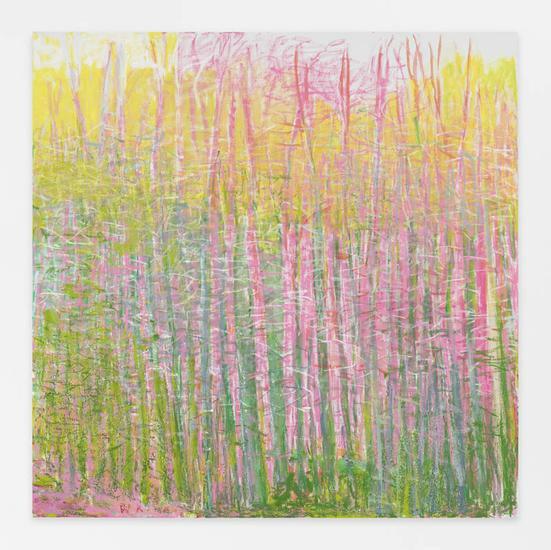 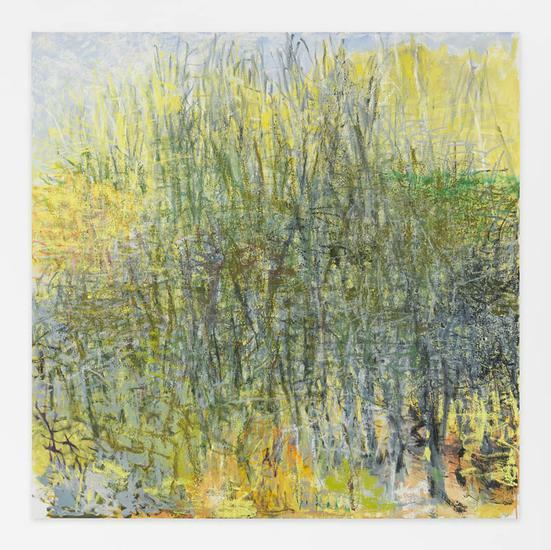 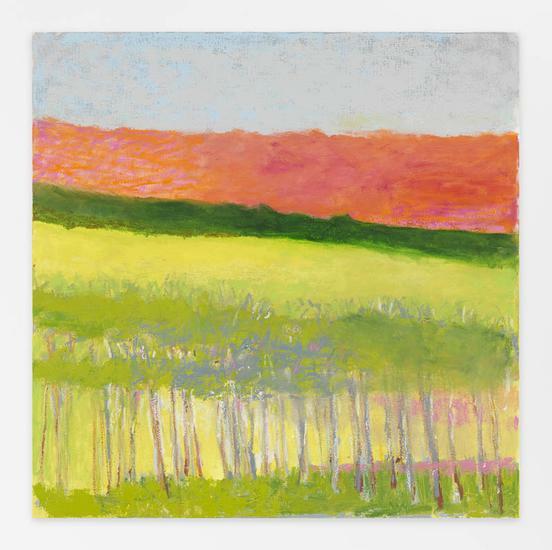 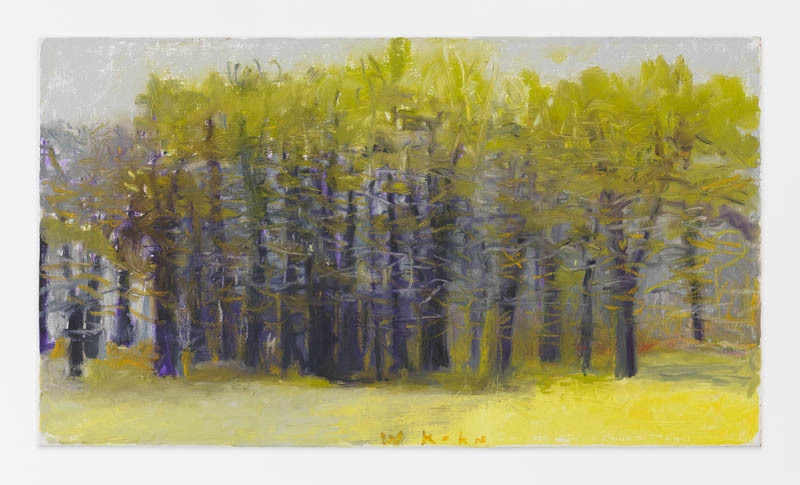 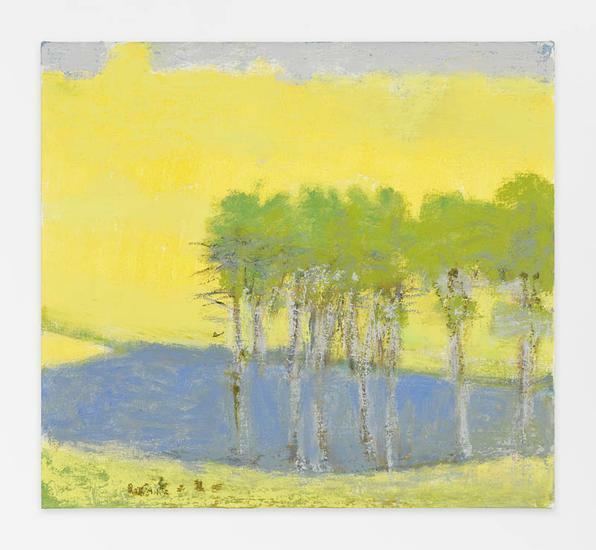 There is no doubt that Wolf Kahn is a painter who embodies a synthesis of artistic traits – including the modern abstract training of Hans Hofmann, the palette of Bonnard, Rothko’s sweeping bands of color, and the atmospheric qualities of American Impressionism. 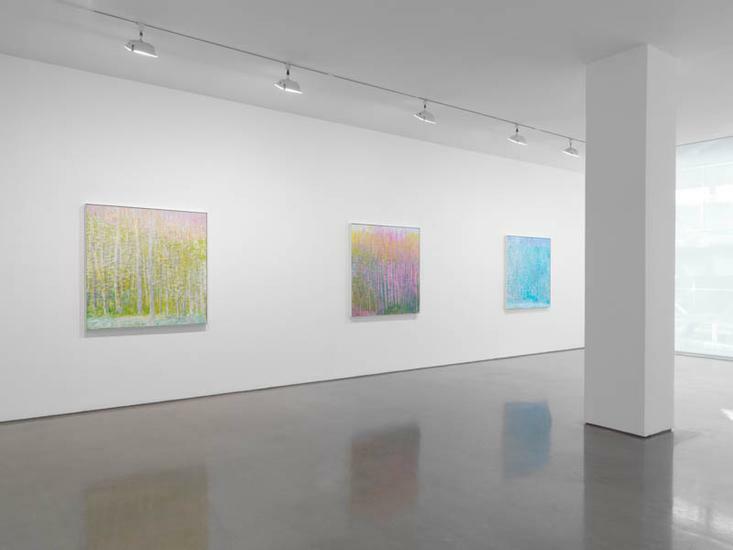 Kahn’s fusion of color, spontaneity, and representation has produced a rich and expressive body of work. 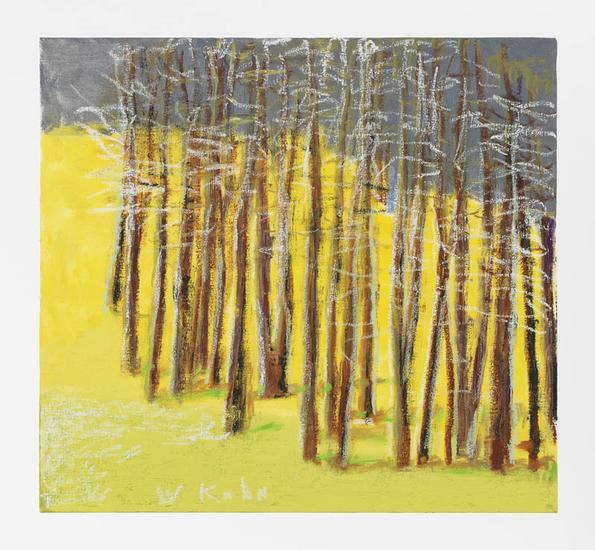 WOLF KAHN was born in Stuttgart, Germany, in 1927. 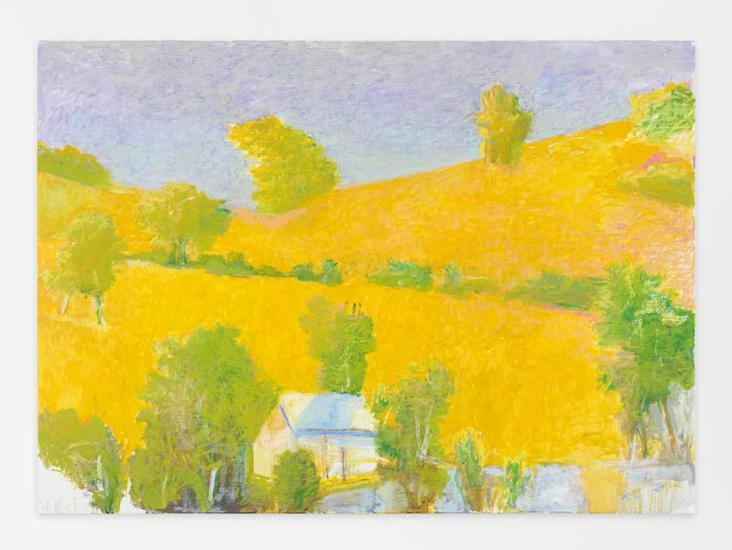 He immigrated to the United States by way of England in 1940. 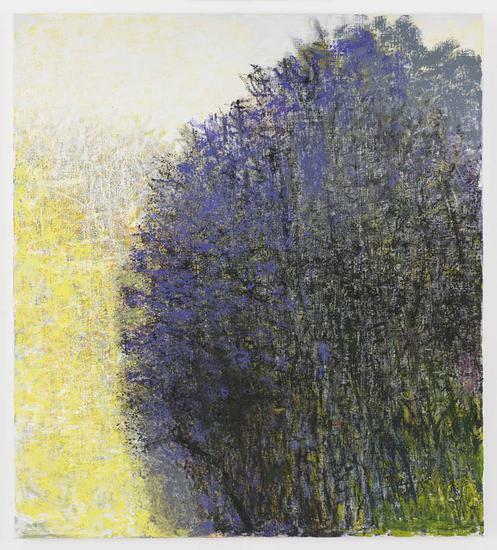 In 1945, he graduated from the High School of Music & Art in New York, after which he spent time in the Navy. 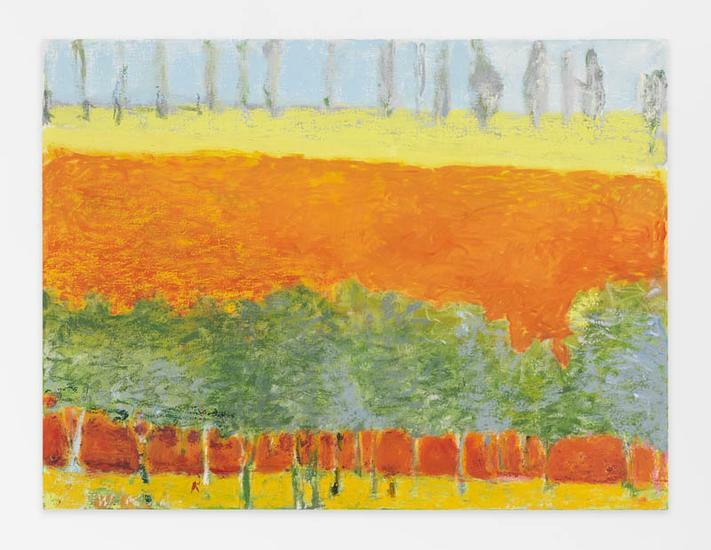 Under the GI Bill, he studied with renowned teacher and Abstract Expressionist painter Hans Hofmann, later becoming Hofmann’s studio assistant. 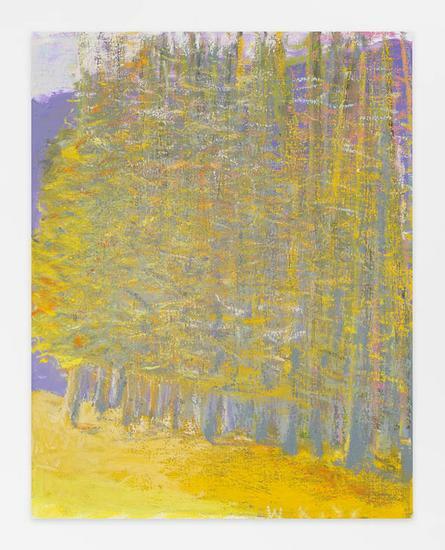 In 1950, he enrolled in the University of Chicago. 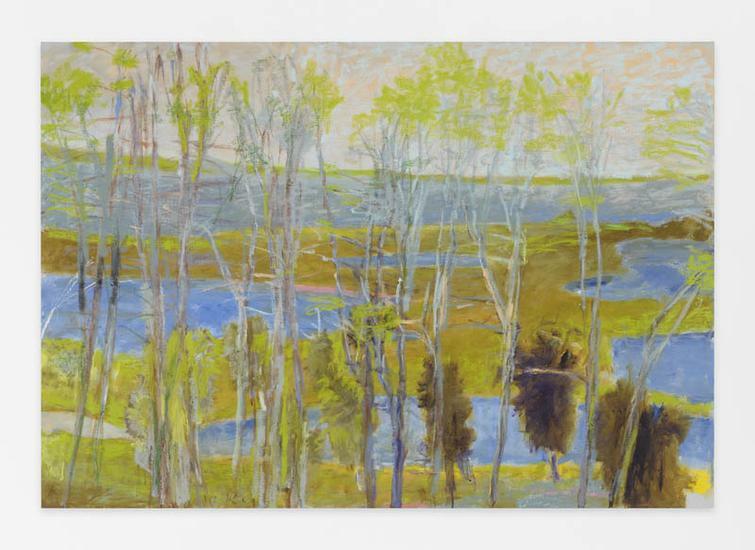 He graduated in 1951 with a Bachelor of Arts degree. 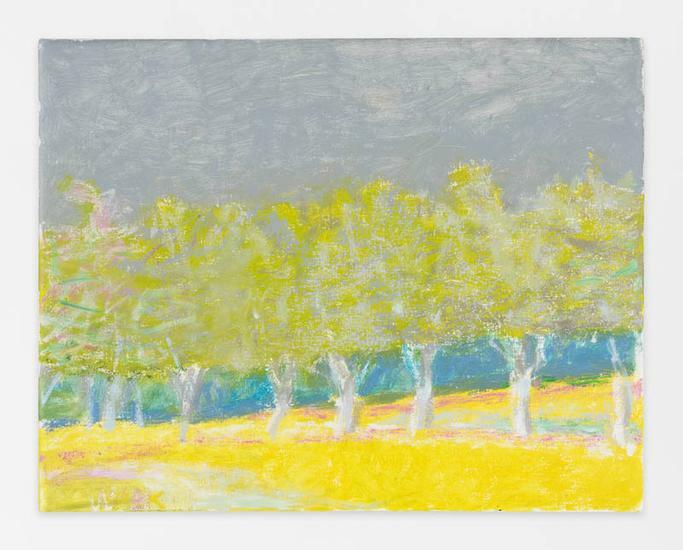 Having completed his degree in only one year, Kahn was determined to become a professional artist. 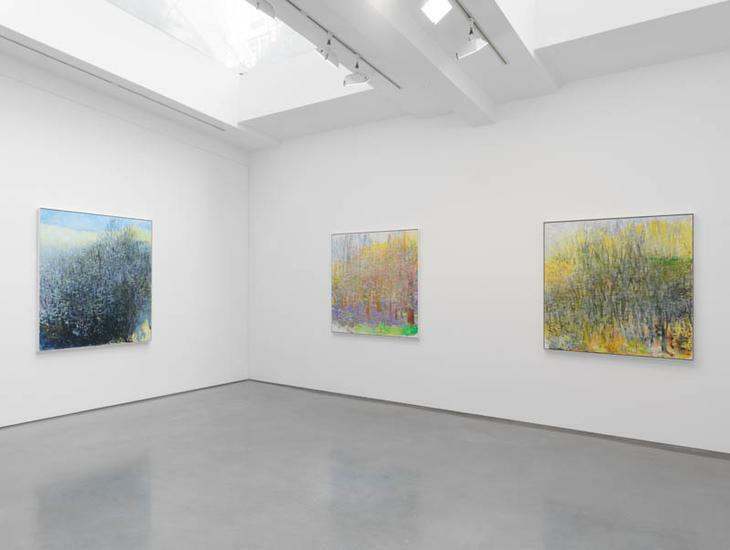 He and other Hofmann students established the Hansa Gallery, a cooperative gallery where Kahn had his first solo exhibition. 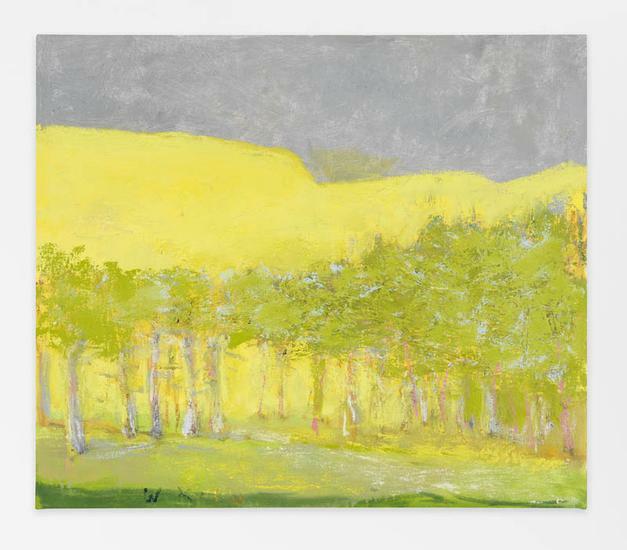 In 1956, he joined the Grace Borgenicht Gallery, where he exhibited regularly until 1995. 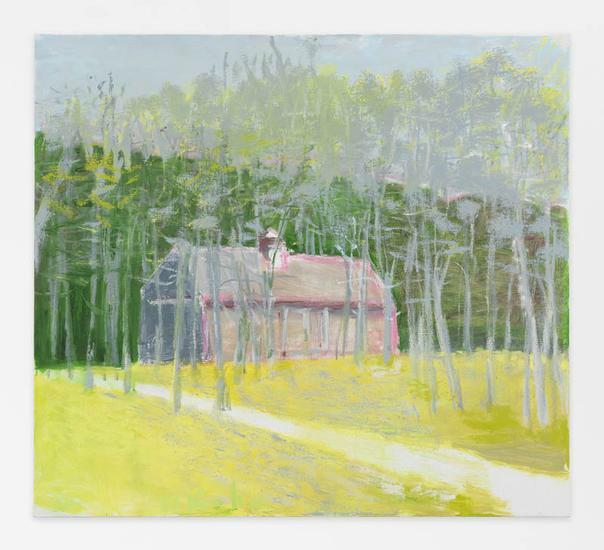 Kahn has received a Fulbright Scholarship, a John Simon Guggenheim Fellowship, and an Award in Art from the American Academy of Arts and Letters. 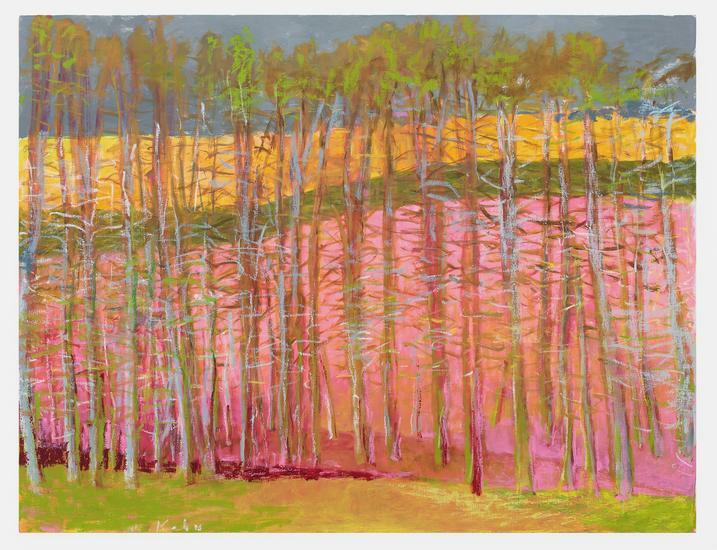 Traveling extensively, he has painted landscapes in Egypt, Greece, Hawaii, Italy, Kenya, Maine, Mexico, and New Mexico. 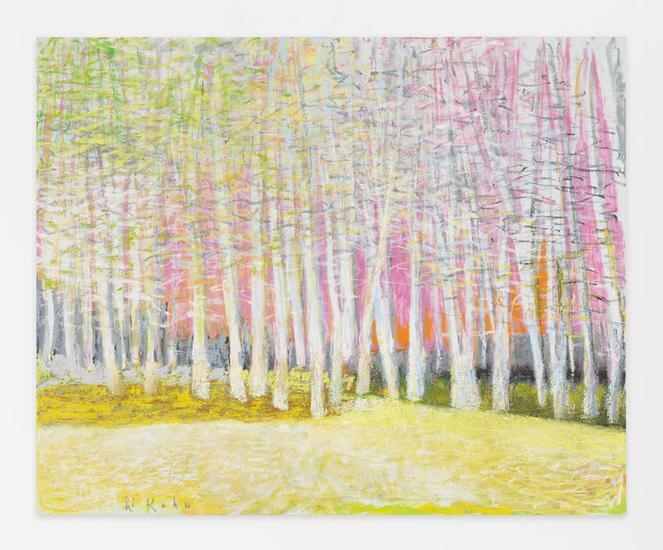 Wolf Kahn lives and works in New York, NY.